Coffee Shop in Wears Valley opened December of 2015. 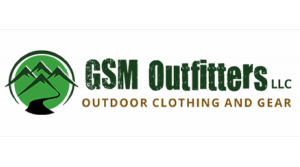 The GSM Outfitters Coffee Café was, in all actuality, started because of GSM Outfitters customers. In 2014 a couple entered the store in the late afternoon. They asked us where they could get coffee that was rich tasting and well made. They said they did not want restaurant coffee or franchise coffee. I told them we would make them coffee and that they would not find what they were looking for in Eastern Tennessee. Their names were Ori and Daniel Liel and they are from Israel. We knew exactly what they were talking about. They wanted a cup of coffee that would meet a certain standard that they had not found on their one month trip in the U.S. Using some of the same techniques and ingredients we use in the coffee shop today we made them coffee. Cheap Beans, Bad Roasting, Bad Water and Poor Brewing Techniques. Bold strong coffee is smooth and delicious when you use the right ingredients, the right roast and the proper brewing and storage techniques. Bold strong coffee should not be bitter at all! Really good coffee is NOT made in 2 minutes or less by someone that lives on Red Bull or Mountain Dew. Good coffee starts with the beans. From there, the roasting process becomes critically important. The final and just as important step is brewing. For coffee to be smooth it must bloom prior to having water between 200 and 204 degrees pass through the ground coffee. So much is talked about with regards to the beans and the roasting, however, none of it matters if the largest ingredient is of low quality. That ingredient is water. At GSM Outfitters Coffee Café, we only use bottled water to make every cup of coffee or tea. Ingredients are critical and we take this very seriously! Our tea is Tea Forte which is some of the best tea you can buy. It is served on the Queen Mary and at the Biltmore. Our Chocolate is Ghirardelli which, in our opinion, is the best! Our Italian sodas are made with soda from Italy. If you have not experienced Coffee, Espresso, Tea or Soda from GSM Outfitters Coffee Café we would invite you to come in. We know you will be pleased! Nothing is more satisfying!! !